Each kilt is custom made so expect 3-4 months delivery. Our Custom Woven Tartan Kilt is our flag ship kilt. If you are looking for the gold standard kilt, this is the kilt for you. There are approximately 2500 different tartans that are in existence. But, only the most popular tartans tend to be in stock at weavers around the UK. Many of the lesser known and ordered tartans are not often readily able to be sold. This is where we come in. We will help you source that ultra rare tartan and make you a truly spectacular kilt. 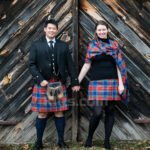 It is also possible to design your own tartan using our unique Tartan Designer, and then we can custom weave your new tartan. We are able to do this by working with the finest Scottish mills. This means we can create something spectacular which is made to your exact specifications. Some of our past customers have passed this kilt down to the next generation. This could be your family heirloom. 1. We will weave a custom woven pattern designed with your color palette of choice (Ancient, Modern, Muted & Weathered) in 13 or 16 oz. cloth (your choice). 2. 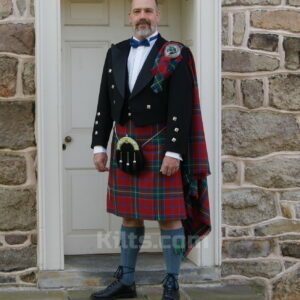 We will then make a truly spectacular 8 Yard kilt made to your exact measurements. 3. We will also include a pair of flashes which will be made in the same tartan material as the kilt. Note – Because this is truly a bespoke kilt, it will take between 3-4 months to make. Before ordering, please read our kilt measuring instructions to ensure you measure up correctly. 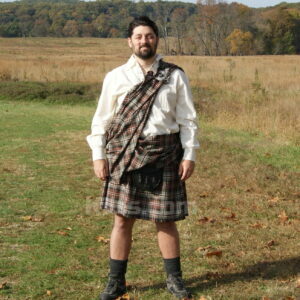 – Each kilt is made of 8 yards of the finest custom woven cloth specifically woven for this kilt. Depending on your preference and tartan, it will be woven using either 13oz or 16oz wool. You will also be able to choose the color palette. Each kilt is made proudly in the UK. – We make use of a technique whereby we ‘Invisibly” sew by machine or by hand (for parts that need to be done by hand). If you’d like a completely Hand Sewn Kilt for added authenticity, this is available for an extra $100. 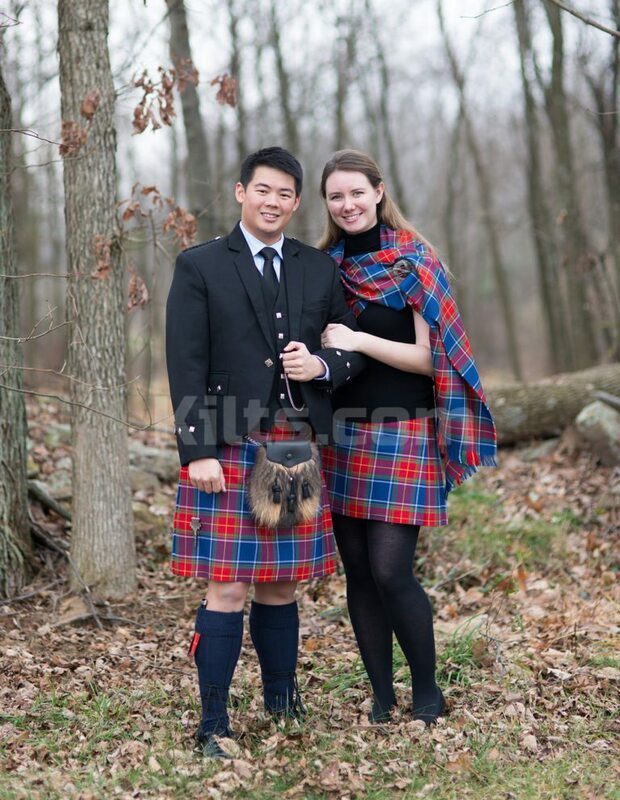 – We reinforce our custom woven tartan kilts by using horsehair canvas lining. – For added comfort, we line each kilt with cotton twill material. – We will add high quality leather straps to your custom kilt. – There will be a double fringe on the front apron of the kilt. 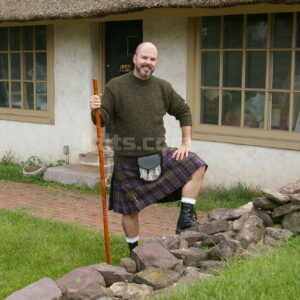 – To allow you to fit a kilt belt, we fit 4″ loops on the back of the kilt. – Each kilt is made to your exact measurements. We add like to add a personal touch to each kilt we make for our customers. Important: Before ordering your kilt from kilts.com, you must take your own personal measurements very carefully. Since each kilt is made to order using the measurements you provide, you will need to be 100% sure of your measurements. 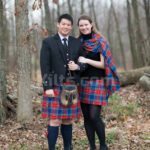 Kilts.com will not refund customers if they provide incorrect measurements. You can make use of the detailed measuring instructions we have provided for measuring yourself for your kilt.